Your choices for holiday shopping - Microsoft's Surface 4/Pro 4, Apple's iPad Pro, or Google's Pixel C.
Google Pixel C wins by A LOT. It is vastly less expensive, the X1 is a destroyer class SOC and both the software and design are better. The only thing the iPad Pro has that would be neat is that sweet pencil thinger they made. Rank order Pixel C > iPad Pro > Windows. This is barely a contest. You're going to spend $900+ on the surface, which is the weakest of the three... over a grand on the iPad Pro and will stay below $800 on a much better device with the Pixel C. Hmm. I'm not in the market for a new tablet/computer since I just picked up a Surface Pro 3 (with type cover keyboard and docking station) this past March (replaced an old Dell laptop AND an aging OG Samsung Note 10.1 tablet). But if I were it would be hands down the Surface Pro 4 (in particular the rumored 14" that may be named XL) so I can run full desktop applications as well as have built-in full administrator access to be able to make system level modifications as needed (ex. something as simple as using a blocking hosts file to block ad networks and known malicious websites). Otherwise the other choices use mobile OS's that are just too restrictive for what I want/need in a tablet/desktop device. DavidinCT, Jefe32 and jmarkey77 like this. Wow that is not a biased answer at all. I wouldn't touch the Pixel since it runs android and I have no need for that crap OS personally. Of course one can get the Surface 3 (not the Pro 3) and install Blue stacks or Andyroid and you not only have a tablet that can run desktop programs but you have a tablet that does more than the android tablet BY using Android emulator as well if you truly need an app that Windows doesn't offer. So pixel is essentially the weakest and ugliest. I'd take the ipad pro over it as Apple has the best app selection of the 3. WinOMG, buddy007 and Pranab like this. Can you justify that statement on the Surface being the 'weakest of the three'? I'm having a hard time with that. In what way is a full blown mature PC OS (Windows in case you miss the point) 'weaker' than two mobile OS? Also you appeared to have missed the cheaper Surface 3 (which is full Windows OS) which is similar in price to the Pixel C.
If you can tell me what I may be missing I'll be happy to concede to your point but at this stage it appears to be nothing more than being an over exuberant fan of a product with blinders on. Pranab, buddy007, worldspy99 and 1 others like this. Just to be clear. I own a Sony Z3 and Google Nexus 7 which I use all the time. I also own a Windows laptop and a MS Surface Pro 3. I'm pretty agnostic when it comes to what I use. WinOMG, worldspy99 and Ed Boland like this. Easily the surface if I were in the market for a 2 in 1.It has by far the best specs and can run all my Windows programs although I'm not a fan of the screen not the keyboard both could be much better. Microsoft can nail it this year with a better screen and a high quality mechanical keyboard powered by a Skylake cpu. but in terms of productivity tablets nothing beats the powerful surface pro line. Ed Boland and buddy007 like this. Depends what you mean by apps... Windows has x86 'apps' available and all the website 'apps', etc... not sure of numbers but I think Windows would probably beat both hands down. Ed Boland, WinOMG and buddy007 like this. I'm shocked at how poorly people are rating the surface. I have a surface pro 2 with an i5 and 8GB of RAM and it plays GTA V and MAD MAX and others just fine at 720p on nearly the lowest settings. Plus I use the full Photoshop not some crippled version of it. Steam alone has over 5000 games that play great on it plus if you have a gaming PC you can stream over Steam over your WiFi network with almost no lag at full resolution/settings. I hook my surface up to any of the TVs in my house and stream games that way with a fully functional without effort Xbox One controller. Another feature that is a struggle on the other two systems. The iPad and Android tablets are barely large versions of phones which is why I stopped buying them and went for the surface. Plus on my surface I also have AndyRoid, OK it's ice cream sandwich and not lollipop but it's Android and runs better than it did on my Transformer Prime or older tablets. Plus the battery pack keyboard nearly doubles my battery life. Yes it costs more, but it's a console, uses a wacom pen as well as a cintique, plays games as better than an Xbox 360, not as well as an Xbox One and streams games out of the box and has a vastly larger app library. Plus it boots way faster than any Android or Apple product I've ever seen plus it has a real browser. Sorry but the mobile browser's just don't compare in performance. Other than price which is a problem for some people I don't understand the discontent with the product? Help me understand your concern. Last thing, I also use it as my PC for work instead of lugging around my laptop when I travel which sadly now seams huge and heavy. Can't do this on a mobile platform as you guessed it, they don't support the applications I need to do my job. N_LaRUE, WinOMG, Pranab and 1 others like this. Yep, I'm specifically speaking about the tablet form factor here and that is a place where windows is severely lacking. In a major way windows has backed off of their hybrid illusion and focused on their OS being a touch friendly full desktop OS. I use windows on a PC and currently use one with Windows 7, one with 8.1 pro and one with 10. I HATE windows in the laptop form factor. Even today, the proper way to use windows, for me, is with a mouse, keyboard (large, mechanical), high quality headphones and at least two huge monitors. In that space windows is way ahead. In mobile, windows is nearly useless (to me) because I'll constantly be thinking about the potential that I cannot use because of the gimped form factor versus a full gaming pc. iOS and Android are both being enhanced by the featured new functionality while Windows is simply not able to provide a good tablet experience. Add in the fantastic screen, design and the powerhouse of the X1 into a tablet and it hard to knock regardless of OS... But in my opinion, Android has by far the best tablet OS. If we were talking about gaming pcs, windows would have had the "best". it runs android and I have no need for that crap OS personally. N_LaRUE and Ed Boland like this. But in my opinion, Android has by far the best tablet OS. I think the thing here is we're discussing convertibles. Tablet/laptops. If we were just discussing tablet then I would agree with you because I only know Android and Windows tablets and Windows was OK but not great. However, maybe my ignorance, but I have a hard time believing that Android or iOS is better on a laptop than Windows. Take into consideration that Surface has a full USB port, SD card expansion, full use of Windows programs and a docking station which allows you to convert it to a full PC. Not only that but it has built in Mircast which allows projection of the screen and you don't need to use the Surface keyboard but your own wireless keyboard and mouse. Maybe I'm missing something? Clearly the Surface smashes the competition at this point. Unfortunately we don't know enough about the Pixel C as the full specs are not out. I also believe, and this is just my opinion, the W10 tablet mode isn't fully fleshed out. They were appeasing the desktop users and I think, maybe, that when W10 mobile releases we'll see a better tablet mode. At least that's what I hope. buddy007 and Ed Boland like this. I would absolutely not try to replace a laptop/desktop with any of the three choices. If I want a desktop experience, I'm going to get a full desktop complete with everything that means. If I want a tablet, I'm going to go with something designed for Tablets. Windows has never made a good tablet and probably isn't going to enter that space for some time. iPad makes quality hardware, but the OS and ecosystem are not up to snuff so Android wins on the software ... and neither have made a tablet that can touch the Pixel on hardware performance except for the iPad Pro, which starts at a 40% markup. 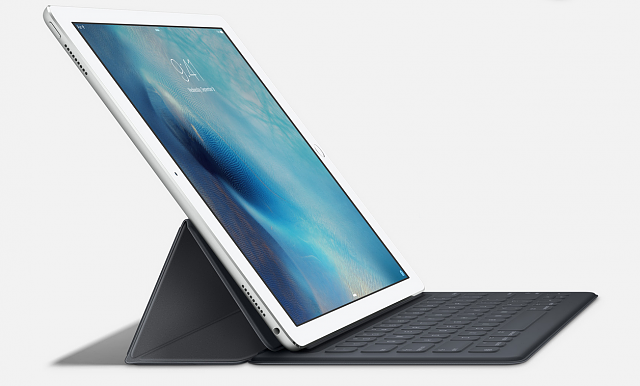 If some people are stuck on the idea of comparing these devices as desktop replacement, I'm going to caution that the iPad Pro and Pixel C are both not meant to do that - at all, and that's a whole different conversation. Both of those two are meant to be tablets, running a mobile OS, with added functionality when needed. I agree with you to a point - if I were trying to replicate a PC experience, I'd go with the surface out of these three. However, if I were shopping for laptops, the surface wouldn't be on the shortlist. The macbook pro and several laptops designed for gaming and/or ultrabooks and/or Chromebooks all have advantages that would be compelling arguments to go above and beyond the value offering of the Surface Pro. The Surface is a good product in its own right - but I'm not completely clear on what market it is going after; it seems to be ultrabook and if that's the case, then I think it is one of many choices in that space (none of which will run a mobile OS). The Surface is a good product in its own right - but I'm not completely clear on what market it is going after; it seems to be ultrabook and if that's the case, then I think it is one of many choices in that space (none of which will run a mobile OS). Like any technology, you buy what works for you. The Surface fits those who want a quality product which has touch screen and tablet functions while still having full use of OS software. Yes there are cheaper laptops and there are more expensive ultabooks and desktop replacements. It's niche is a high performance ultra portable tablet computer in the Pro. 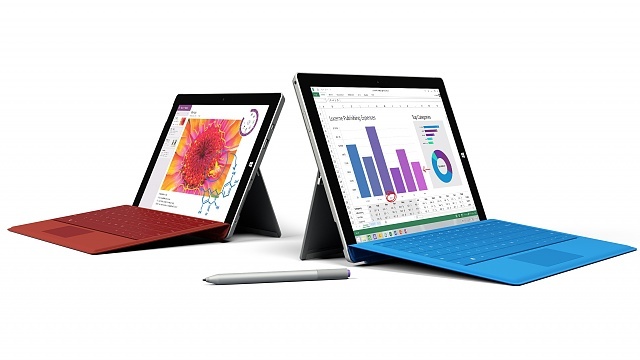 The Surface 3 fits in the niche of the ultra portable tablet computer with an average price tag for students. Going by what Apple and Google have brought out and what other PC manufactures are bringing out I think the Surface has proven a desire for devices like this. Imitation being the ultimate in flattery. Ed Boland and WinOMG like this. Needless to say that when you look you are likely seeing another Surface clone. 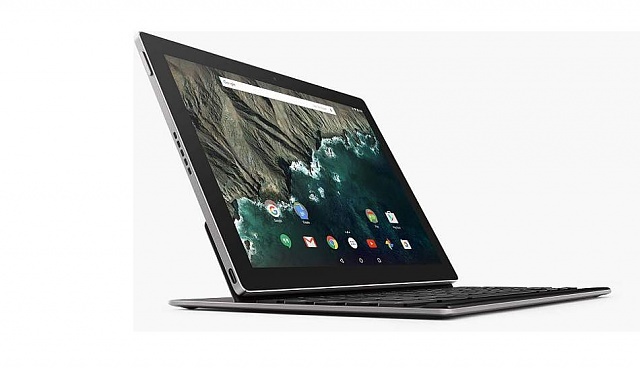 The Pixel C is a 10-inch tablet with an optional keyboard, and that is not where the similarities end. The good news for Microsoft is that the Pixel C seems like a stretch of a device when compared to the Surface 3. Like Google's $1000 Chromebook Pixel it is hard to imagine why anyone would pick a Pixel C over a Surface 3. With the Surface, you are getting a full-fledged computer with an optional pen and more options for the same price. The Pixel C seems like a continued novelty device for Google's Android OS. Diehards may want one, and it may even be a fun accessory, but it pales when compared to the Surface 3. I agree it is an oranges to buffalo comparison. Two totally different markets and intended use cases. Surface Pro 3. Then the Pixel C (it's an expensive tablet and nothing more...with a very expensive keyboard). Then never the iPad Pro (way too expensive for running iOS and ridiculously expensive accessories). Unbeknownst to AC, this thread is a target of trolling rather than productive conversation about the various devices. I don't have a lot of visibility on how things work on our sister sites, but that is not how things work here. Thanks everyone. Google play store not downloading. The spec off: Nexus 6P vs Galaxy Note 5 vs LG G4 vs Moto X Style vs iPhone 6s Plus.